Once more, I apologise for the lack of swatch photos but this is due to the loss of power in one of my arms. The packaging is a very slimline, sturdy cardboard with an outer sleeve, which houses the palette itself and it has a rubberised exterior similar to Nars blush packaging. This palette contains twelve shadows - six matte and six glittery/metallic. The mattes are slightly dry in texture, however they apply and blend beautifully and evenly. The metallics are buttery soft and most of the shadows are intensely pigmented. All are very long-lasting - they don't fade, crease or budge at all after 10 hours of wear - possibly longer, but that's the longest I have tested them for. Crown: white with a gold sheen. Royal Highness: metallic taupe/mid brown. Your Majesty: metallic warm copper. Empress: matte, extremely vibrant orange. Queen Mother: metallic warm plum. Royal Prerogative: matte light brown with warm undertones. Noblewoman: metallic cranberry with orange shift. Ladyship: matte berry-purple (not as vibrant as it appears in the pan, which is disappointing). I love the variety of shades in the palette, the only thing missing is a matte black but because there is a matte brown, I can overlook that. I'm disappointed by Ladyship not being as vibrant as it is in the pan because I am drawn to purple shades, however it is buildable. Overall, the shadows are dreamy to work with, especially the metallics because they are so creamy, yet they don't cause fallout under the eyes. 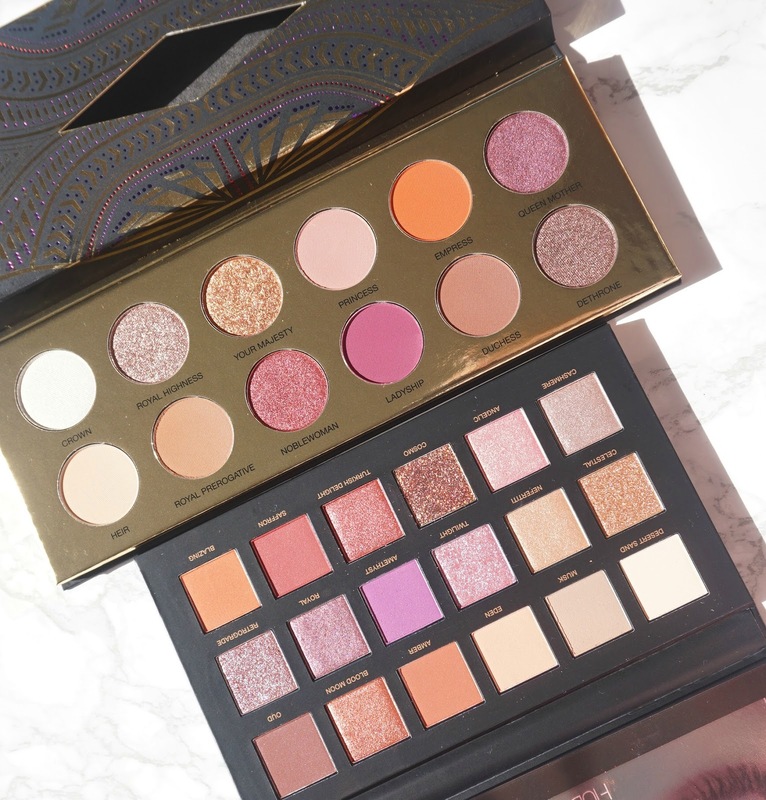 The Huda Desert Dusk palette is £56 and this palette is £45. They aren't dupes but there are some similar shades in both. If £45 is just too much for you to spend on a palette, then I would recommend trying some of their single shadows, which are available from Beauty Bay because the quality of these shadows is right up there with some of the best I have tried. 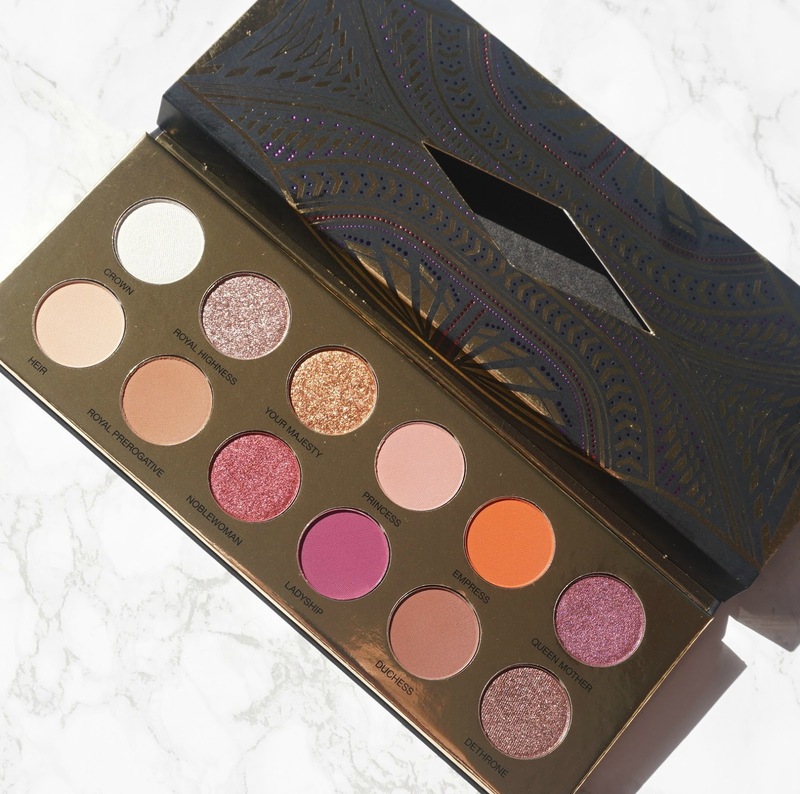 I'd love to hear your thoughts on this palette?